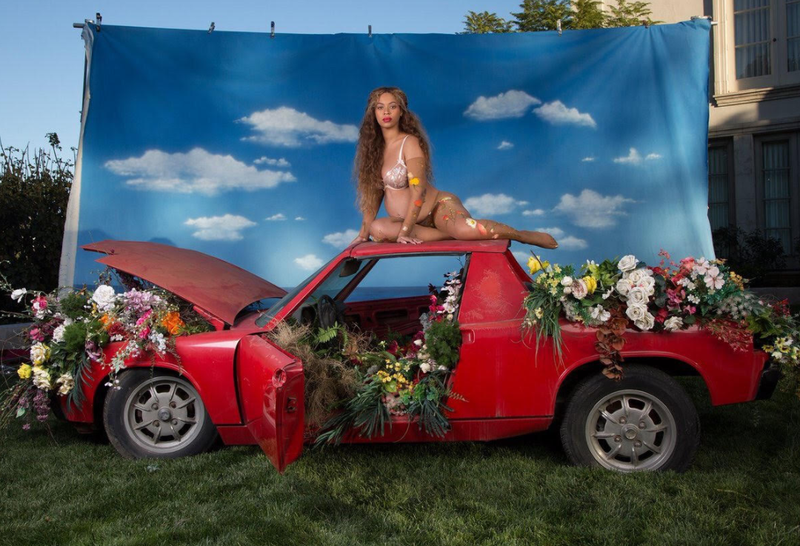 Beyoncé has taken the traditional route to announcing her pregnancy with twins: by posing atop the usual Porsche 914 converted into a planter. It is much better than those black-and-white pregnancy photos on a beach with the woman wearing an open white button down while the dad embraces the stomach with a closed-eye stupid look of forced bliss. You know the kind. This is way better. Though the height of the rear body suggests this one has no drivetrain, it’s worth noting that you could have a drivable 914 with two fully-planted gardens, front and rear. You can see the image on Beyoncé’s website if you wish further study.